obviously, we're not as active as we'd like to be. we're sorry for that. things look like they're slow. and i dont know where that means for our future. a comic book friending meme! check out our profile for new rules! 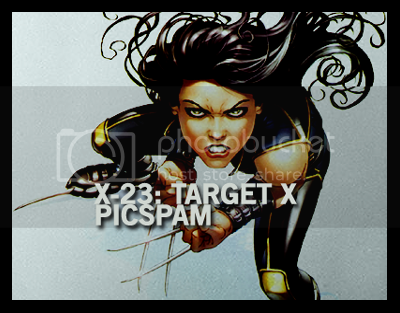 22 largeish images from X-23's limited series Target X. Not particularly dialup safe. Here's the deal! Fill out the questions below, and fellow members will comment on which female superhero/villian you remind them of! ♥ Feel free to add anyone if you feel you could be friends! Don't forget to join for all your comic girls goodness!